Key Lime Pie and Blue Power were crossbred to create this 70/30, indica-dominant blend. This wildly flavorful phenotype of Blue Lime Pie has a sweet and sour kush and cookie flavor. The flavor profile, very much so mimics one of its parent strains, Key Lime Pie, which is a gourmet phenotype of the superstar Girl Scout Cookies with a bold lime flavor. 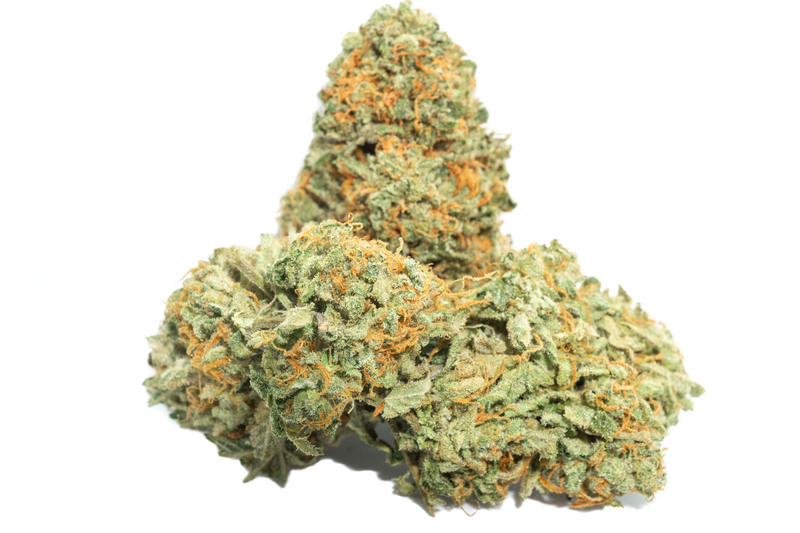 Blue Lime Pie is a fan favorite with patients looking to relieve chronic pain and insomnia. Be cautious, this strain contains a whopping 30.2 percent THC and although incredibly beneficial medication to regular consumers, this one could be overwhelming to those less familiar with cannabis.